The suburb of Unley is often associated with magnificent and opulent houses, but just up Cross Road at Urrbrae is a beautiful bluestone mansion that outshines the jewels in Unley's crown. This delightful two storey house completed in 1891 by Peter and Matilda Waite overlooks an attractive set of gardens and the Waite Arboretum - a massive 30 hectare plantation of 2,200 trees. From the balcony of Urrbrae House you can enjoy a spectacle of some of the carefully tended gardens, with the Arboretum sloping away into the distance. Upon entering the House visitors encounter a striking entrance hall having great character, with prominent cedar and blackwood timber work reminding you of the enormous Arboretum in the grounds. The adjacent Drawing Room has been restored as much as possible to its original condition, with restored wallpaper, original curtains, and a tapestry firescreen. It also features a grand piano which is used on special occasions. The original Morning Room at the front of the House is now used to house the Peter Waite Exhibition, a permanent display commemorating the history and restoration of the House. 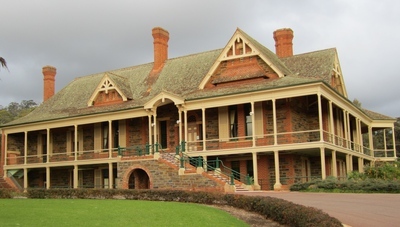 The spacious Dining Room with its original furniture is now used on occasion by the University of Adelaide for meetings, although like all Urrbrae House is open to the public at specified times. It's interesting to note that Urrbrae House had the first domestic refrigeration plant in Australia, designed and installed by a company in Sydney. The plant is housed in four rooms in the basement. A short distance south east of Urrbrae House you can also find The Coach House, built in the 1880's to house stables and a hayloft. The Coach House is not normally open to the public, although some school tours are arranged. 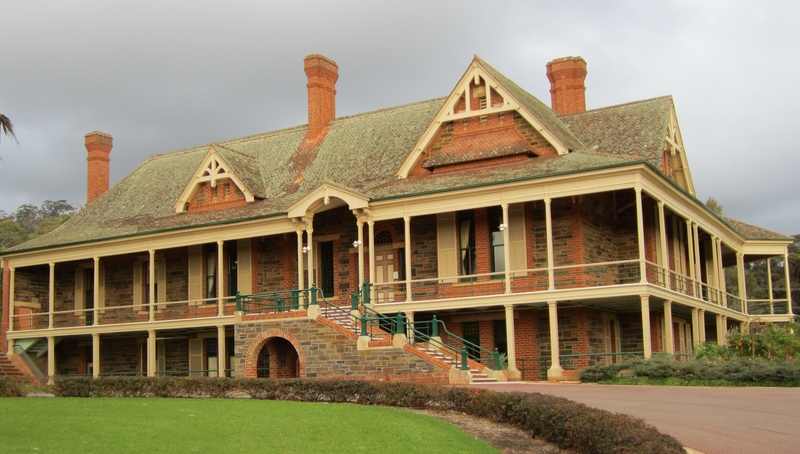 While Urrbrae House is available for viewing at specific times by the public, consider going on a free guided tour (held on the first Sunday of each month) if you would like to hear more detail about the history of this beautiful residence.